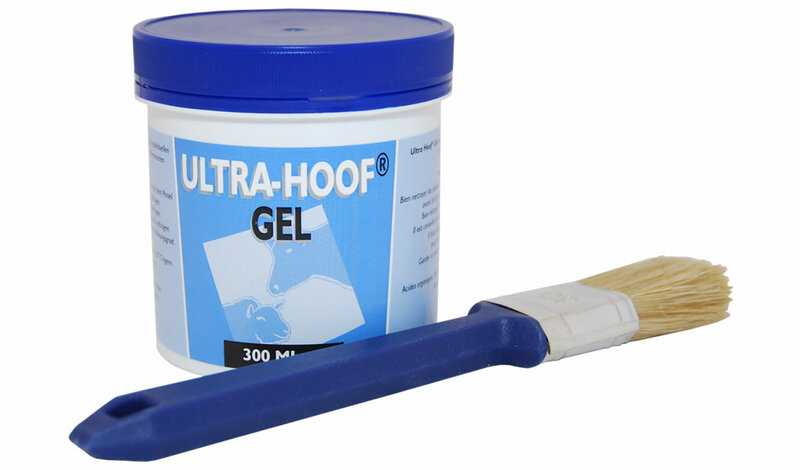 Ultra-Hoof® Gel is suitable for specific, intensive care of animals with hoof problems. 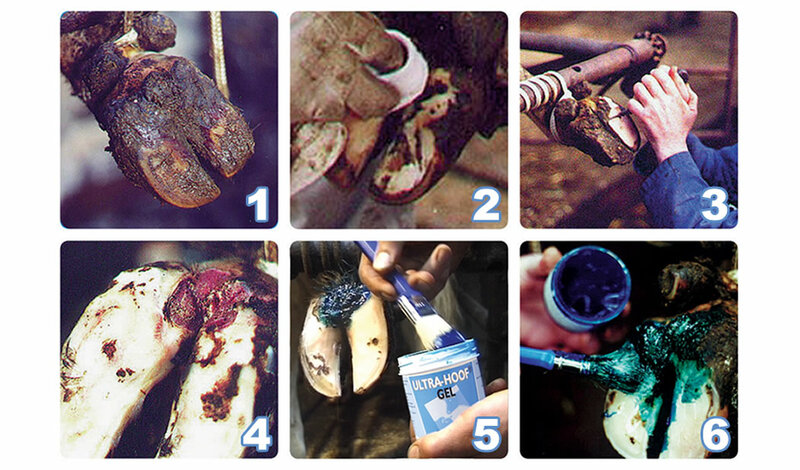 Ultra-Hoof® Gel should be applied on a clean and dry hoof with the provided brush. If necessary, you can apply a bandage (Ultra-Hoof® Tape) to protect the treated area. Zinc chelates promote cell growth. Copper chelates strengthen the horn tissue. Organic acids protect the natural acid environment of the claw. Ultra-Hoof® Gel is available in 300 ml cans. With the combination of Ultra-Hoof® Gel and Ultra-Hoof® Clear you have the complete solution for effective hoof care!